The “Newfie”, as they are affectionately called, arose in the Newfoundland region of Canada, the product of matings between various working breeds, which may have included the Tibetan Mastiff, the now-extinct American Black Wolf, the Labrador Retriever, the Pyrenean Sheep Dog, and the Portuguese Water Dog. There are many theories on how they originated, but one thing is for sure, they created an outstanding, instinctive water rescue dog. They even have webbed toes. They were used for hauling in nets, retrieving anything that fell in the water, carrying the boat lines to shore, and rescuing shipwrecked and drowning victims. The existence of the breed came into jeopardy in the 180s when Canada mandated families to pay a tax on the one dog they were allowed to keep. However, in the late 19th Century, the future of the breed became popular again when the Honorable Harold MacPherson, governor of Newfoundland, made the Newfoundland dog his breed of choice. 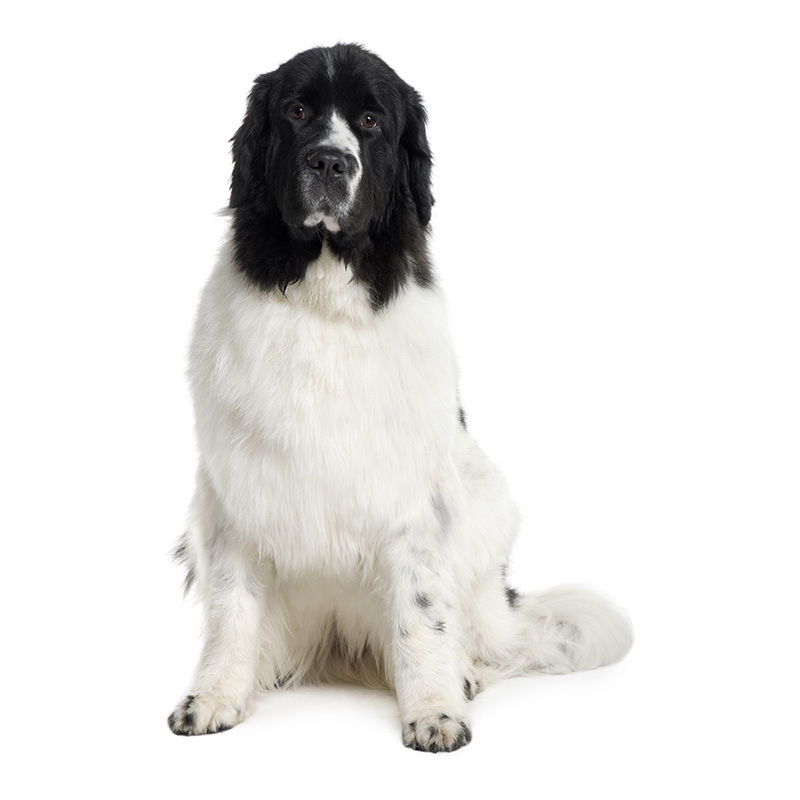 The Newfoundland is known for its easygoing personality. They are said to be like a big, overstuffed, loveable Teddy Bear. They love their families, especially children, and they aim to please. This “Gentle Giant” is a dog of courage, loyalty, and devotion. Newfies make excellent therapy dogs, excel at water work, and do very well at obedience training. Newfies rarely bark, but are protective and brave when they need to be. They need regular exercise and like to spend time outdoors preferably in the water. The Newfoundland makes an excellent family pet as they are fun, entertaining, and won’t let you down. It has been said if you own one, your life will never be the same. Newfoundlands usually weigh between 100 to 180 pounds and stand approximately 25 to 29 inches tall. They are a very big dog with a powerful build. They have a double coat, which is very heavy, and they come in black, brown, and black and white. Water rolls off their coat like raindrops off a waxed car. Many people owe their lives to this wonderful breed. In 1919 a Newfoundland pulled a lifeboat containing twenty shipwrecked people to safety, receiving a gold medal for its heroic actions. During World War , they hauled supplies and ammunition in blizzard conditions in Alaska and the Aleutian Islands. They do drool A LOT. Newfies need daily combing, and they blow their coats at least once a year.